Ina knows what she's talking about. 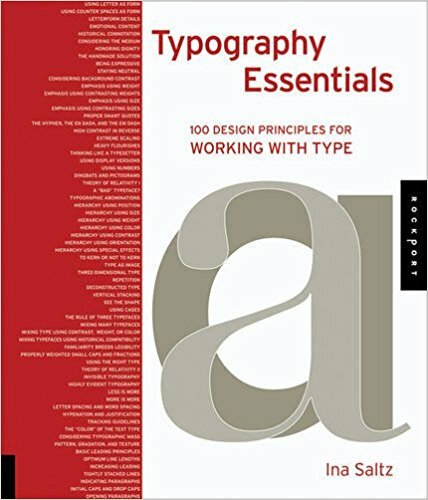 What others thought about "Typography Essentials"
New in paperback, this book is divided into four easy-to-use sections: The Letter, The Word, The Paragraph, and The Page. Each of the 100 principles has an explanation and examples representing the principle in action.